Ashley Bailey, Author at Get your Florida Fishing Report Here! Get your Florida Fishing Report Here! Hi everyone and welcome back to another week full of helpful information. 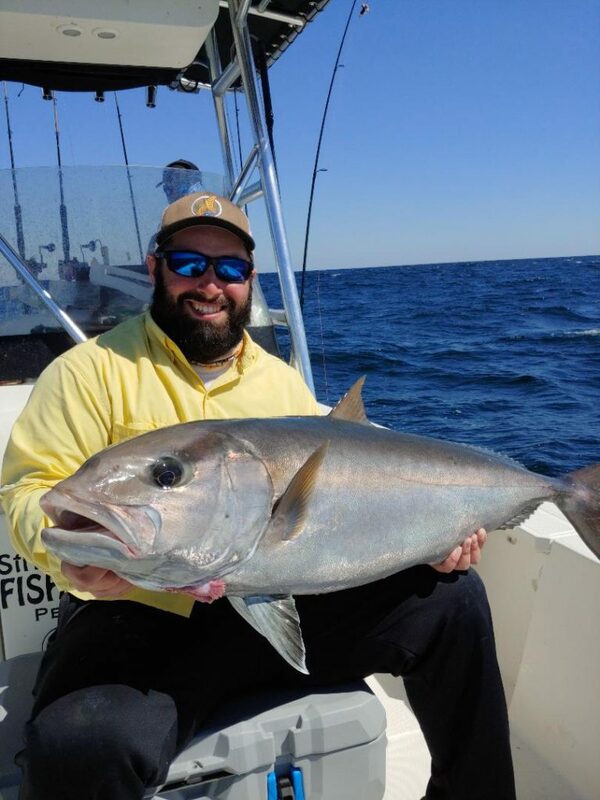 This week we have Fishing Charter In Pensacola own Captain Zack Strickland of Strickly Fishing Charters. We sat down with Captain Zack and discussed some of the things that are happening in his area right now! We asked about how the fishing has been and Zack responded with “The fishing is really starting to heat up here in Pensacola. 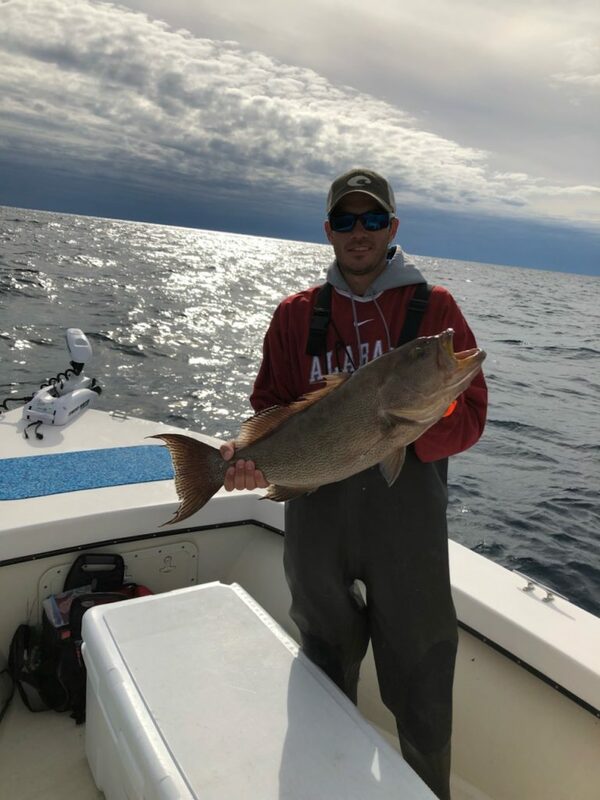 We are seeing a lot of redfish, sheepshead, black drum, and the big sharks are starting to move in.” When we asked him what makes the spring so good in Pensacola , Captain Zack told us how this time of year the migrating fish that swim up the coast of Florida finally make their way up to the Panhandle. These fish include pompano, cobia, king mackerel, and spanish mackerel. Sight fishing cobia off Pensacola Beach is about as fun as it gets. “We use boats with large towers and troll up and down the coast” Zack said ” waiting for the chance to spot a cobia and then present a bait”. This can be tedious at time but defintely can pay off. Spanish Mackerel are another fish to catch in the Spring in Pensacola. We cactch these fish cruising down the beach in massive schools. They use bucktail jigs and any kind of shiny plug will do the trick. When fishing for these be prepared for numerous hook ups instantly. Also make sure you use heavy monofilament or wire leader as these fish have sharp teeth. March is what most Floridians consider a transition month when it comes to fishing. We see a lot of fish and bait fish starting to move with the water temperature warming up. Cobia are a big town favorite. Cobia are a large migrating fish that love a 70 degree water temperature. 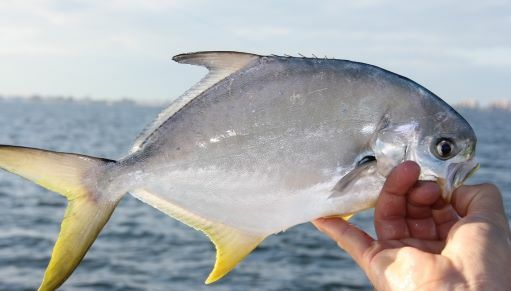 We also see a lot f permit and pompano starting to move this time of year. these fish are great eating an really fun fight! They feed on crustations mostly like shrimp, crab, and sand fleas. Another fish that starts cruising down the beach are the Spanish mackerel. These fish are usually in large schools and attack anything that comes close that resembles a small bait fish. King mackerel also cruise the beach. These fish like a larger bait like a blue runner or mullet. Snook and tarpon also roam the beaches and will start making their migration in the coming months. We appreciate the support for the blog like you wouldn’t believe! It is awesome to see the positive feedback we have got already! Thanks and we hope to see you on the next one! The Deep sea fishing charters in Perdido have been great as well! We are seeing a lot of red snapper, amberjack, and vermilion snapper.These fish are hard fighting and great eating! It’s is always a fun experience to get out there and have the opportunity to catch something crazy while your out there. Captain Bryant suggest fishing a live bait down deep for a chance at a grouper and or amberjack! The Vermilion Snapper are being caught on squid fished near the bottom. All these fish are great eating as well! We can blackened, fired, or grill these fish and have a great dinner for the family. Over in Perdido we have some great restaurants that will cook it up for you as well. Be sure to stop at one of them and have your fish fried up! The future forecast of fishing has a lot of great things coming its way in Perdido Key! We are suspecting a great Spring run of Sheepshead as well as a continuing run of redfish and black drum. For offshore we are hoping to see a lot of snapper, grouper, and triggerfish, as well as amberjack. We couldn’t be more excited about our 2019 year as Florida Fishing Weekly. It is definitely going to be a ton of information as well as a lot of trophy catches! We are hoping to see a lot of great fishing charter reports from Perdido Key Florida as well as the rest of the state of Florida. It is definitely fun going out on the water spending a day relaxing and putting a line in the water. On a Perdido Key Fishing Charter you never know what you are going to catch! We are hoping to catch a lot of Red Snapper this year as well. We catch a lot of big fish in the Gulf Of Mexico just miles away from The Perdido Key Beach! This summer we are looking forward to a lot of shark fishing too. These big creatures are a ton of fun and always an awesome sight to see in the water! We use whole bonita as well as any other large fish to catch sharks out of Perdido Key! 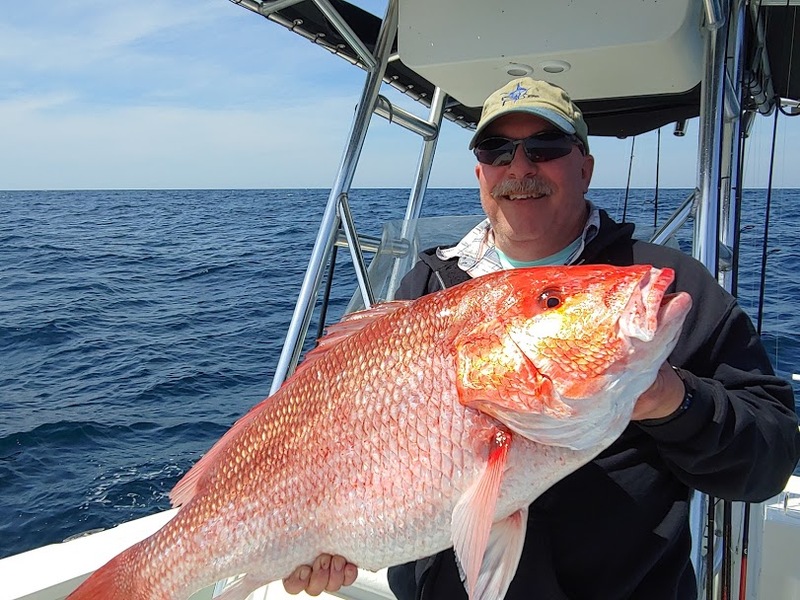 Copyright © 2019 Get your Florida Fishing Report Here!. Powered by WordPress. Theme: Accelerate by ThemeGrill.